When bushwhacker Neil Luckhurst sets his sights on a goal, there’s little that can stop him. His objective may seem unattainable to many of us but a broad vision and years of experience help him sculpt adventures that explore his limits along with the mountains up which he treks. His most ambitious outings are unique in that they are fundraisers that directly benefit the Adirondack region. Such is the case with his latest winter fundraising effort — Project 100. 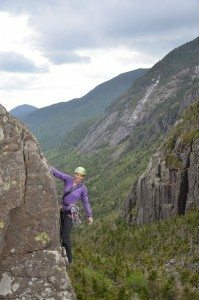 The endurance hike entails summiting the Adirondack’s 100 highest peaks between December 21 and March 21. 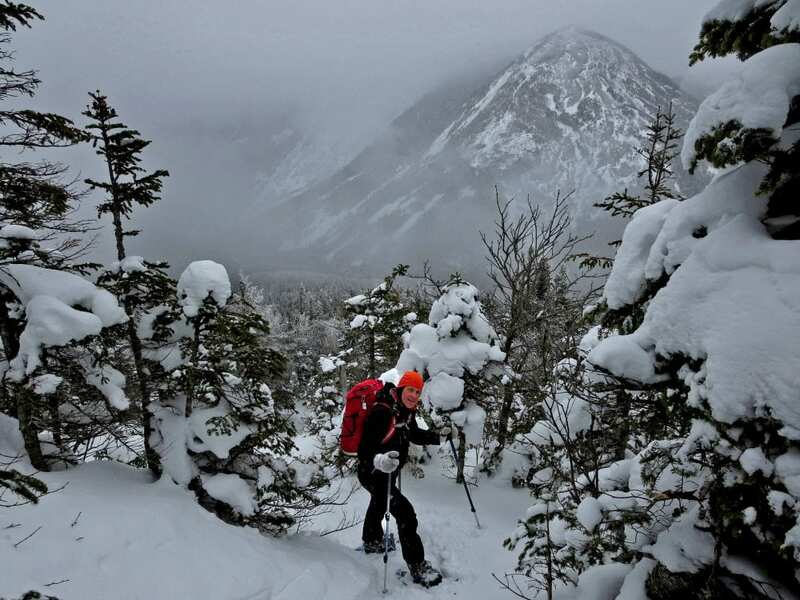 While many of the trails leading to the summits of the High Peaks may be trampled into icy sidewalks, the Lower 54 peaks will be mostly untracked and guarded by a deep snowpack. If Neil is successful, he may be only the second person to hike the Hundred Highest during winter. » Continue Reading. Exploring the Adirondack backcountry is risky business. All manner of medical issues can arise where assistance is not just a 911 call away. Recently, I attended a Wilderness First Aid (WFA) class provided by Adirondack Wilderness Medicine (AWM) to keep current on the first aid requirement for my New York State Guides License. This was my second wilderness first aid class. The first was an eight-hour class taken through the New York State Outdoor Guides Association, this new one was much more comprehensive and twice the length. » Continue Reading. 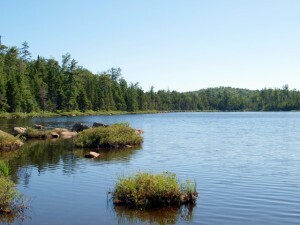 Peaceful silence is one of the many reasons people explore the Adirondack backcountry. The quiet stillness, interrupted only by natural sounds, provides an ideal opportunity for recharging spiritual batteries, something increasingly crucial in the modern world where haste and expediency rule. This tranquility is fragile however, easily shattered by a jet flying overhead, the revving of a motor engine, a gun discharging or any other incongruent sound. Another man-made and unnatural sound, although quite rare, completely shatters the illusion of solitude and remoteness, leaving any wilderness enthusiast shaken to their very core. This unwelcome intrusion does not come from an aggressive motor enthusiast, logger or other wilderness antagonist, but frequently courtesy of a fellow adventurer. It is a backcountry breakdown, and it can happen to anyone, at anytime, anywhere. Rainy days in the Adirondack backcountry provide an ideal opportunity for contemplation. Often my own woolgathering collides with the remoteness of the setting to divert my thoughts to disaster – the possibility of getting lost, being injured or the victim of some other calamity. One of my favorite topics of worry and woe is my lack of a comprehensive emergency response plan. 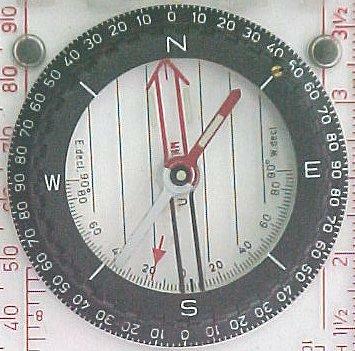 Every backcountry explorer should prepare an emergency plan, as it provides the necessary information to facilitate locating you should you become lost or suffer a serious, immobilizing injury. Under more dire circumstances an emergency plan may mean the difference between a live extraction and a dead retrieval, or the worst-case scenario – an unmarked grave with accompanying animal nibbles. I think a backcountry emergency plan should consist of two parts: a trip-specific itinerary, and also more general information to help locate me in the backcountry in the event of an emergency. » Continue Reading. Bushwhacking is hard work. 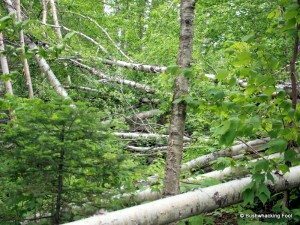 Trudging through dense forest, struggling with hobblebush thickets, climbing over downed trees, and dodging wetlands is no simple walk in the park; unless it’s the Adirondack Park. An well-trod path provides welcome relief from all this effort, whether it’s a herd path or a marked trail. 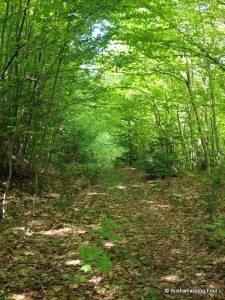 Old forest roads offer another opportunity for respite, while still retaining that wilderness feel. In the Adirondack backcountry, these old roads are rather abundant. 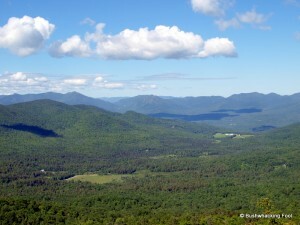 The Pepperbox Wilderness Area is one of the smaller wilderness areas in the Adirondack Park. It receives few visitors, as it has no spectacular mountain views, few productive waterbodies and lies tucked away in an obscure part of the Park. Its lack of trails is often cited as one of its unique characteristics. Too bad it is not true. 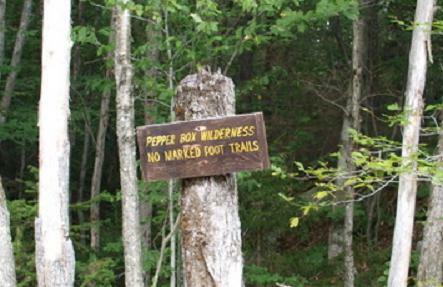 The notion that the Pepperbox Wilderness contains thousands of remote acres free of trails is a fantasy; it is a myth, like Bigfoot or the Tooth Fairy. 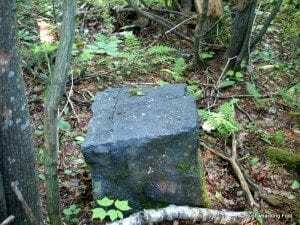 The recent pursuit of prison escapees near Mountain View and Owl’s Head in northern Franklin County ignited for me a few memories from the area, both related to iron ore. Lyon Mountain, a few miles northeast of Standish, produced the world’s highest-grade iron ore for a century. Standish was home to the iron company’s blast furnace, and the village is linked to Mountain View by an unsurfaced, 11-mile stretch of the Wolf Pond Road. When I interviewed old-timers back in the early 1980s for a couple of books about Lyon Mountain’s history, they told me of how the blast furnace stood out several decades earlier for residents of Franklin County, south of Malone, especially in the Mountain View area. Across the valley where the Salmon River flows parallel to the Wolf Pond Road, there was a nightly bright glow on the eastern horizon. At times the furnace, which ran 24/7, looked like a giant torch in the distance. The effect was powerful when nights were truly dark, before everyone decided that floodlights were a great idea. » Continue Reading. My anticipation reached a crux; the snow was gone and the rock was exposed. It was time to venture again into Panther Gorge. Two local climbers, Adam Crofoot and Allison Rooney, were my willing partners, eager to explore new routes in the gorge after a winter of backcountry skiing. The only disagreeable partner was the weather, which left us only a small window of time on Saturday, May 30th. Adam and Allison trekked to Slant Rock Lean-to from the Garden in Keene Valley on Friday afternoon and I joined them near midnight. The lean-to was full, so I found a comfortable place in my bivouac sack in the woods nearby to watch the moonlit clouds blow by. » Continue Reading. 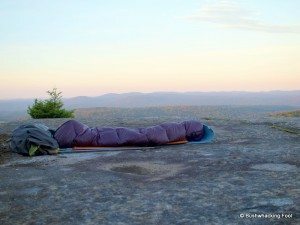 Sleeping bags are crucial pieces of outdoor gear; nearly a third of the time during an overnight backcountry trip is spent in one. A perfect bag provides for a good night’s rest, a necessity after an arduous day climbing through blowdowns, balancing on beaver dams and weaving through a forested obstacle course. Ideally, a sleeping bag should be warm, comfortable and convenient, yet still lightweight enough to carry wherever curiosity demands without agitating one’s own back. » Continue Reading. The 22,560-acre Pepperbox Wilderness in the western Adirondacks is one of the smaller wilderness areas in the Park, but it also is one of the wildest. 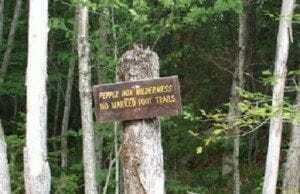 It has no lean-tos and only two miles of foot trails. 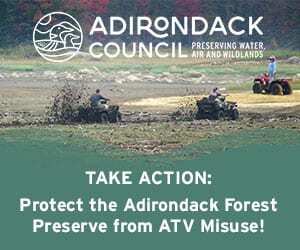 The State Land Master Plan observes that the lack of a trail system “offers an opportunity to retain a portion of the Adirondack landscape in a state that even a purist might call wilderness.” » Continue Reading. Like most people, I began my Adirondack backcountry career wide-eyed and naive, almost completely ignorant of the dangers. My ignorance was largely irrelevant in those early days, as I mostly hiked with others and we rarely strayed from marked trails. That innocence was quickly shattered however, as a single traumatic event infused me with a backcountry anxiety that remains to this day. Unlike common backcountry fears such as isolation, aggressive wild animals, or bloodthirsty insect hordes, mine is both rational and reasonable. Being crushed by a falling tree is the fear that plagues my mind. Everyone seems to be in a hurry these days and the Adirondack backcountry is not immune to the hustle and bustle of modern life. Outdoor enthusiasts set a premium on their time, often racing to their destination, and trying to squeeze every ounce of excitement from their experience in the wild. Drivers speed along Wild Forest access roads, late for an appointment with who knows what. Snowmobilers fly down forested trails in what seems an unquenchable thirst for speed. Even hikers often dash (or actually run) down trails in a hurry to occupy their favorite campsites or make the best time as wildlife scurries out of the way. With proponents of backcountry skiing, mountain biking and ATVing all looking more access, it looks like the need for speed is bound to accelerate in the backcountry. 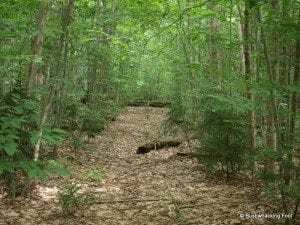 What ever happened to a nice short walk through the forest? Is it no longer exciting enough? Has the bar for adventure been raised too high to accommodate such a passive pursuit? Has it become old fashioned? » Continue Reading. Trekking through the Adirondack backcountry is arduous; so much so that it’s a wonder it’s even considered a recreational activity. Whether you hike well-worn trails or bushwhack unbroken wilderness, the effort requires a massive amount of energy. It leaves you thirsty, sweaty, and bone-tired. After trudging many miles, most adventurers just want to stop and take a break for a while. There is nothing wrong with that; you earned every minute of it. Resting is a natural part of the outdoor experience. 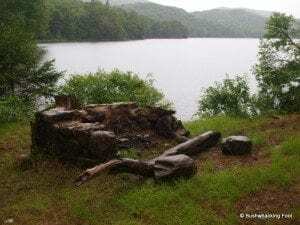 After traversing for a few hours through the Adirondack backcountry’s dense forest and lakes, streams, bogs and blowdown obstacle course, even a super-hero would need a break once in a while. Taking a break displays neither weakness nor laziness; They are a necessity and provide the opportunity to recharge – the more grueling the adventure, the more rest breaks are necessary for recovery. » Continue Reading. Backcountry Photography: Which Camera To Carry? 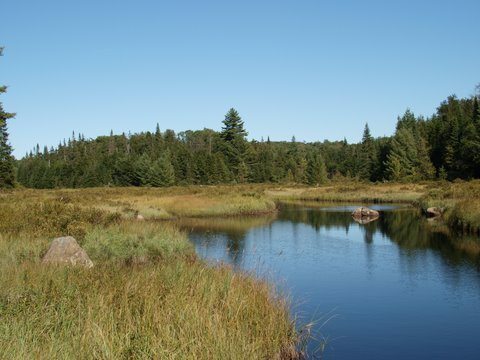 Imagine hiking for hours alone through an idyllic Adirondack setting, the sky is an azure blue, the birds are singing, the sun is shining, the black flies are biting, ideal conditions for spending time in the great outdoors. When the trip’s destination finally appears, whether it is a seldom-visited lake, marsh, swamp or mountaintop, the thought of capturing this rarely glimpsed view becomes overwhelming. If only you’d brought that camera. » Continue Reading. 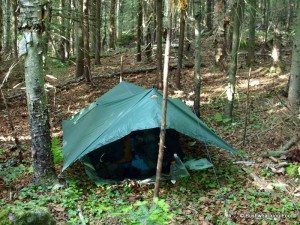 Backcountry Gear Choices: Tent Or Tarp? Few backcountry gear decisions seem as daunting as picking a shelter. Some prefer to sleep John Wayne style (under the stars), others prefer lean-tos, but most carry a shelter of some sort on their back – tents or tarps. Tents are easier to set up (though I’ve seen exceptions), but are often heavier to carry. Compared to tarps tents offer less ventilation, critical when sharing the space with an aromatically challenged companion. 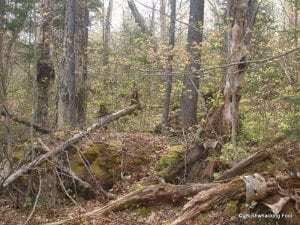 Free standing tents are easier to set up and move – an important consideration in locating a good tent site while bushwhacking. On the other hand, tarps are better in rain. Erecting the tarp over your gear in an emergency can keep you and your gear drier. An open tarp provides more ventilation, which also allows for quicker drying. A tarp system reigns supreme in the weight department, but smaller poles and hi-tech fabrics on new tents continue to chip away at the weight differential. My history with shelters reads like something out of “A Christmas Carol”, with ghosts of shelters past, present and future. » Continue Reading.